I am late putting this post up but I am so happy to have been able to participate in Tuesday Throwdown's challenge this week. Robyn's Fetish is sponsoring and the theme is "Piece It Together." I haven't done much paper piecing but it is a fun and easy technique to do. 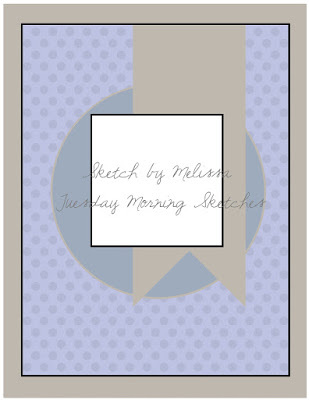 I traced the heart shape onto gingham paper and cut it out to adhere on top of the white heart image. The bears were colored using Copic markers. I wanted to color the bears in different shades of brown to give them some contrast. The white doily was something I received. I placed it behind a scalloped circle Spellbinders die and I also embossed it using a large circle embossing folder. The word LOVE was done using a die. I cut multiple layers then glued them all together to add dimension. Last of all is a tiny red bow added to the heart. This is such a sweet card! I love your papers and embossing!! What a fab card, love the image & design. Thank you for joining us at Card Mania Challenge. Good Luck. This is very sweet! 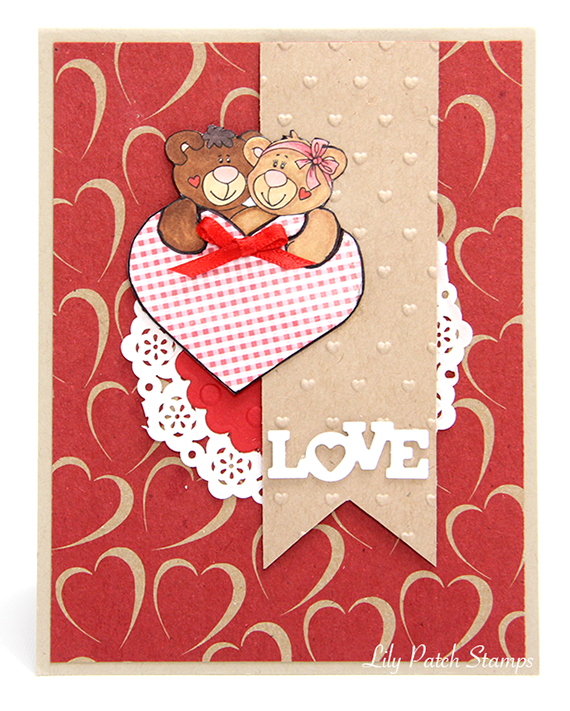 Thank you so much for playing along with the Have a Heart Challenge on the Simon Says Stamp Wednesday Challenge Blog!